Metallica have released some of metal’s most iconic songs during their long and successful career. 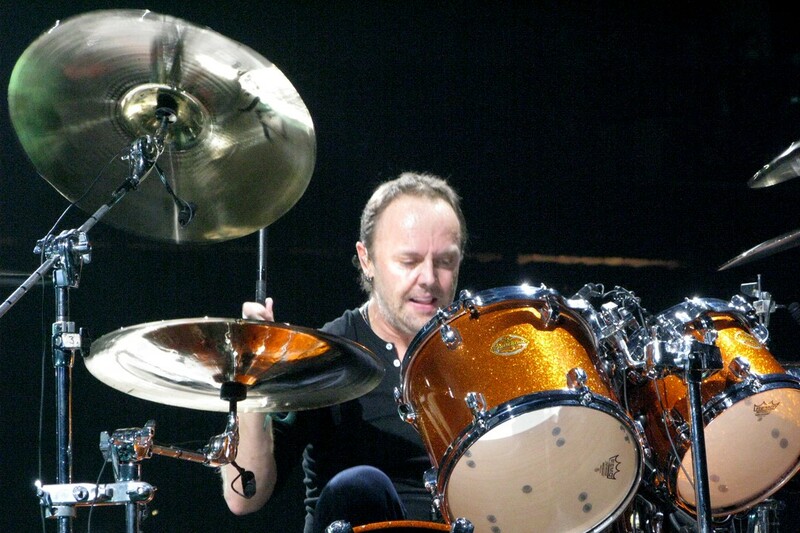 From early tracks like “Whiplash” to commercial hits like “Enter Sandman” and “Nothing Else Matters” to more recent songs like chart-toppers “The Day That Never Comes” and “Cyanide” from Death Magnetic, many songs in their catalog have become part of the fabric of metal music. But even a band with as high a profile as Metallica has some songs that are just as good or even better than some of their well-known tracks, but for one reason or another have flown under the radar. Here are 6 relatively overlooked Metallica songs. Metallica’s 1983 debut Kill ‘Em All was a watershed moment for thrash metal and helped propel the genre to the top of the metal mountain. The whole album is hugely influential, especially songs like “Seek And Destroy,” “The Four Horsemen” and album opener “Hit The Lights.” Another outstanding song that doesn’t get the attention those tracks do is “No Remorse.” It’s a moderately paced song with great riffs that speeds up toward the end. It’s one of Kill ‘Em All‘s catchiest and most memorable tracks. Even though the time between the albums was minimal, Metallica’s songwriting chops improved quite a bit between Kill ‘Em All and 1984’s Ride The Lightning. From the opening song “Fight Fire With Fire” to the closing instrumental “The Call Of Ktulu,” nearly every song is a tour de force. “Creeping Death,” “For Whom The Bell Tolls” and “Fade To Black” got plenty of attention, while equally notable songs like “Escape” and especially “Trapped Under Ice” have remained underrated. Guitarist Kirk Hammett, who co-wrote the song with James Hetfield and Lars Ulrich, delivers a great performance on Ride The Lightning‘s shortest song. With Master Of Puppets being one of the best and most iconic metal albums ever, it’s hard to believe it could have any underrated songs, but it does. While the title track, “Battery,” “Welcome Home (Sanitarium)” and “Orion” all get plenty of love, the epic “Disposable Heroes” is often overlooked. For eight plus minutes Metallica deliver nonstop riffs with a pace ranging from galloping to blazing along with an extended searing guitar solo. With the memorable chorus “Back to the front,” the lyrics convey an anti-war message. Following one of the most successful albums (1991’s The Black Album) was a daunting task, and there was a five year gap between it and 1996’s Load. It also topped the album chart and spawned the number one singles “Until It Sleeps” and “Hero Of The Day,” even though it wasn’t as critically well-received as their early releases. Load is a really long album (nearly an hour and 20 minutes), which may be one of the reasons “The Outlaw Torn” is overlooked. It’s the last song on Load, and tends to get lost in the shuffle. The song has a lot of ebbs and flows, ranging from mellow to intense, and is well worth exploring. Recorded during the same sessions as Load, Reload was released the following year. Just like “The Outlaw Torn,” “Fixxxer” is the last song on another long (some would say overly long) album. “Fuel,” “The Unforgiven II” and “The Memory Remains” were the most commercially successful songs on the album, but for those with the patience to listen to the entire record, they are rewarded with “Fixxxer.” It has a monster groove, a memorable solo from Hammett and a strong vocal performance from Hetfield. Metallica have done a ton of cover songs over the years, including releasing albums such as The $5.98 EP: Garage Days Re-Revisited and 1998’s Garage Inc. Tracks like “Turn The Page” and “Whiskey In The Jar” were big hits, but one of the more underrated songs on Garage Inc. was Blue Oyster Cult’s “Astronomy.” The track, originally released in 1974, was beefed up considerably while still maintaining the original’s progressive tendencies. What do you think are Metallica’s most underrated songs?